Five teams, five minutes each, facing five experts. 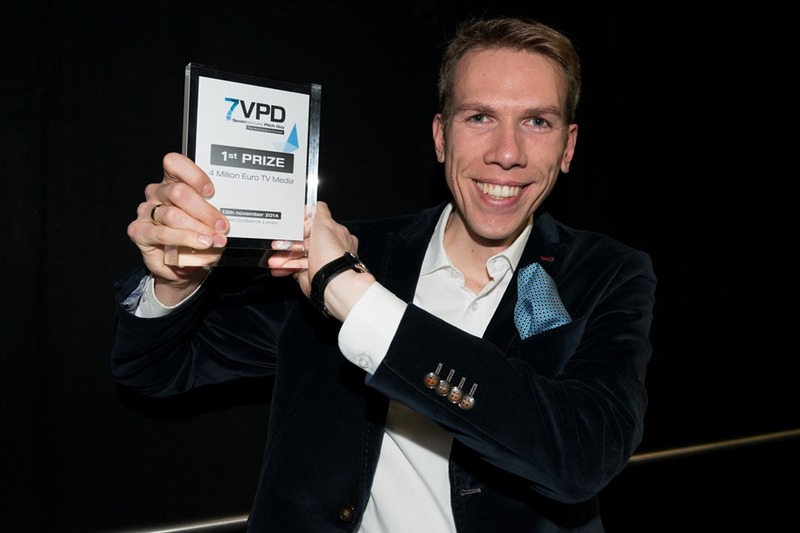 On June 10, 2015, the finalists fought for their TV media budget on ProSiebenSat.1’s channels at this year’s first SevenVentures Pitch Day (7VPD) in Berlin. It was already the fourth time that promising businesses competed against each other at the NOAH Conference, but for the first time this year in Berlin and with a theme. With businesses in the “Health & Fitness” sector, the focus was on one of the worldwide booming growth segments in the digital industry. The winner in the health and fitness arena is called Withings. With its wearables and apps, the startup from France combines innovation, technology, and design. Its products help improve daily well-being and thereby contribute to long-term health. On the main stage of the NOAH Conference, the team led by CEO Cédric Hutchings defeated the competition with passion and spirit. In addition to winning a three-million-euro TV media budget, it is gaining not only the multi-channel marketing power of the ProSiebenSat.1 Group with its audience of millions. As part of the “Platform Europe” program, Withings will also receive operational support through a European television network which also includes the cooperation partners TF1 (France), Dogan TV (Turkey), Modern Times Group (Northern Europe), TVN Group (Poland), Antenna Group (Greece), and Channel4 (Great Britain), in addition to ProSiebenSat.1. The panel of experts was also persuaded by the diabetes Web service mySugr. The team, represented by Anton Kittelberger, lands in second place and receives prize money of two million euros’ worth of media volume. - Withings (France) offers a number of products and services that guarantee users greater well-being and better long-term health. Withings has an ecosystem of interconnected tools for health, ranging from the multifaceted activity tracker Withings Pulse Ox and the intelligent scale to the wireless blood pressure measuring device and the sleep monitor Withings Aura. - mySugr (Austria) wants to simplify everyday treatment for diabetes patients and has developed its own apps, Web services, and Diabetes Academy for that purpose. The products stand out through their intelligent combination of design, technology, and medical diabetes expertise. The five finalists were selected from a total of 150 business ideas submitted from the Health & Fitness sector: the consultation app MeeDoc (Finland), the diabetes assistant mySugr (Austria), the fitness motivator Runtastic (Austria), the tinnitus therapy Tinnitracks (Germany), and the app for greater well-being, Withings (France).